DrueckGlueck is one of the latest online casinos from Germany that offers a thrilling gaming experience to gamblers throughout the world. 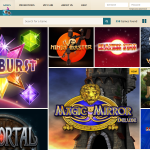 In our DrueckGlueck online casino review, we’ll look at the platform’s software, games, bonuses & promos and banking options. It started operating in 2015 and has been licensed in Malta, UK, Schleswig Holstein and Denmark. While most of its games target the international audience, there are a few that feature unique themes that appeal to German players. DrueckGlueck runs on powerful software from industry’s reputable suppliers like NetEnt, Amaya, WMS, Aristocrat and Barcrest Games. Its live versions of the casino are mainly powered by the industry giants Evolution and Xpro Gaming. Players can enjoy different versions of the platform including the Instant play, live casino, downloadable version and mobile casino version. That means you can comfortably enjoy these games on your computer’s browser or over your mobile device at any time. The site also boasts of amazing graphics, smooth graphics and excellent gameplay. In addition, the platform supports more than 20 different languages including German, English, French, Finnish, Dannish Czech, Russian, Spanish and Norwegian. Other languages include Portuguese, Slovak, Turkish, Hungarian, Polish, Greek, Italian, Swedish and more. The platform hosts an array of slot games ideal for both fun and real-money players. From over the 500 games, you can sample the best classic slots, branded slots, multi-line slots and 3D slots. Other slots come with juicy progressive jackpots that can make gamblers cash in more on their wagers. Apart from spinning the slots, players can also enjoy a myriad of games like the Roulette games, Blackjack varieties, craps, Caribbean poker, video poker, scratch games and more. DrueckGlueck has been providing live dealer games since it commenced operation. The live games are mainly supported by Xpro and Evolution gaming software. Our DrueckGlueck online casino review revealed that the live games are run by professional dealers, which contributes to an immersive and better gameplay. The range of games found under this category offer great rewards to both novice and highly experienced players. 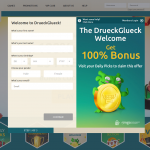 Players signing up to DrueckGlueck are rewarded with plenty of bonuses to help them wager even more whenever they visit the site. One of the most lucrative bonuses is the 100 percent Welcome Bonus that guarantees up to £100 plus 25 free spins. Players can also free spins throughout the year with each subsequent deposits. Other offers that improve the cashout for gamblers include daily picks, monthly rewards, tournaments and so much more. You can participate in slots tournaments that are available throughout the day, where you can choose from buy-in and freerolls tournaments. If you maintain your loyalty to the casino, then you can be sure of enjoying a range of monthly rewards, which you can check on your email. Our latest DrueckGlueck online casino review found the site’s special VIP Lounge offer rewarding. Just work hard to rise through the ranks to enjoy the benefits that come with this package. The more VIP points you accumulate, the higher you’ll climb in terms of level and the greater the perks that come along. You can even convert the points into cash without really having to wager first. Currently, there are plenty of payment options that player can use to either make deposits to or withdrawals from the casino. The best thing about these methods is that they’re very secure, safe and efficient for any player to use. Some of the major deposit options offered by the site include MasterCard, Maestro, Visa, Neteller, wire transfer, Skrill, PayPal, Ukash, Euteller, EPS, Webmoney, Paysafecard, Nordea and more. Withdrawal options recommended by the site include bank wire, Neteller,Entropay, PayPal, Visa, Webmoney, Visa, ClickandBuy, Click2pay, Skrill and Paysafecard. Majority of these methods can allow customers to withdraw funds from their account and receive them in the same working day. Wire transfers and credit cards usually take a bit longer to process with funds expected to reach a player’s personal account within a period of 2 to 7 days. The site also allows customers to deposit funds using multiple currencies including Australian Dollars, Euros, Canadian Dollars, Sterling Pounds, Swiss Franc and US Dollars. There are currencies accepted by the platform like Norwegian Kroner, Russian Rubles, Swedish Kroner and South African Rand. Reinforced with the SSL Encryption, DrueckGlueck provides a highly sophisticated security system that protects critical financial and personal information of the customer. The site’s state-of-the-art practically denies any hacker the opportunity of accessing even the tiniest of sensitive data stored in there. And to assure players of utmost fairness, the casino usually goes through rigorous testing from several independent agencies. 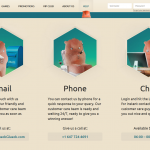 One of the site’s strongest attributes is its efficient and dedicated team of customer support. Whether you’re having an issue with understanding the gameplay on site, experiencing delayed payments or would simply want to understand T&Cs attached to bonuses, the team is always there to help. You can simply contact them via a live chat, phone call or through email. The customer care service is available on a 24-hour basis, which allows customers to have all their issues sorted immediately. Regardless of the nature and size of your problem, you can always have it sorted just in time for you to continue with the gaming. 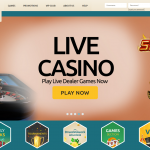 Based on this comprehensive DrueckGlueck online casino review, you can clearly see that the platform offers great opportunities for gamblers to make great cash. Everything from the site’s sleek design, to smooth navigation, to convenient payments options all through to enormous progressive jackpots, there’s a lot to be desired in this platform. Its multi-lingual platform also makes it ideal for gamblers from different countries and backgrounds to participate in the gameplay. That provides an opportunity for everyone to partake of the numerous bonuses, daily promos and monthly rewards for even greater payouts. You don’t have to try so hard with this platform. Just count on your luck to enjoy awesome rewards on your wagers.